It’s celebration time at AMD, and not just because it’s set to launch both the next-gen Ryzen 3000 processors and Navi graphics cards in just a few short months. AMD is turning 50 this year, and to celebrate the chip manufacturer is reportedly preparing a 50th Anniversary Edition of the Ryzen 7 2700X. 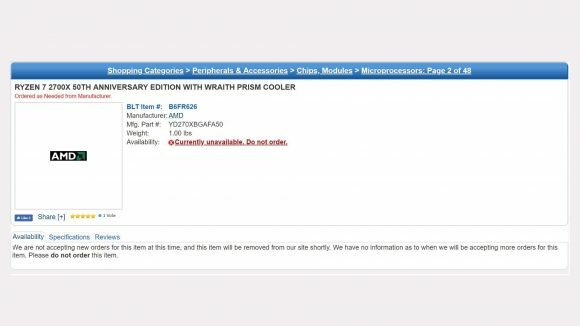 For the time being, however, it is still in place even if the price is gone and there is now no facility to pre-order. The very existence of the listing ahead of the May 1 anniversary of AMD’s founding makes it very likely this is actually ‘a thing’ and not just a random upload by a playful intern. 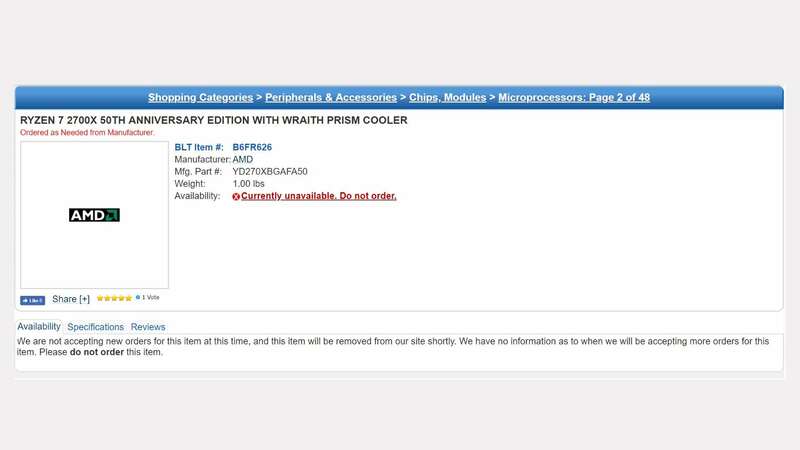 The listing can currently be seen at ShopBLT (via Chiphell) and is specifically titled as ‘Ryzen 7 2700X 50th Anniversary Edition’. The original price that was placed on the product page was $341, while the initial 2018 version had a release price of $329. While that might well indicate a change in specification it is worth noting that a standard Ryzen 7 2700X on the same site will set you back $383, though that is almost $100 more than the 2700X retails for on Amazon right now. The current turbo clock speed of the 2700X, however, is a much more sedate 4.3GHz and that rarely rears its head during all-core testing. We also struggled to get anywhere further than 4.3GHz when we were overclocking our 2700X sample, so if AMD is able to manufacture and ship a version of the 12nm silicon which can even nominally hit 5GHz that would be a pretty impressive feat. But we are almost exactly a year on from the first launch of the Ryzen 2000-series flagship chip, and the 12nm manufacturing process will have matured in the meantime. That could mean the CPUs GlobalFoundries is producing for AMD right now – before complete Zen 2 production makes TSMC its primary partner – are more able to make the grade. 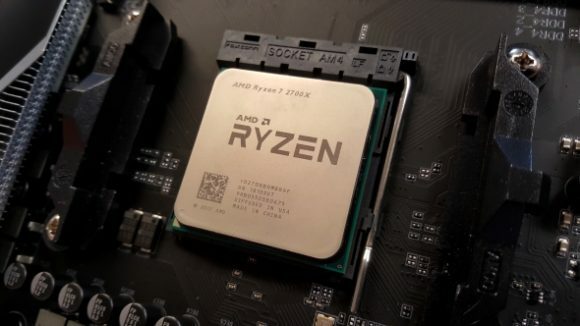 Chances are that if AMD has been able to bin-sort a bunch of 5GHz capable 50th Anniversary Edition 2700X chips that they will be in a rather limited number, so there may not be too many on show once AMD’s May 1st birthday rolls around. But then how many people would be willing to fork out $341 on 12 month-old CPU silicon, however high it’s clocked, when there is the very imminent prospect of socket-compatible 7nm Ryzen 3000 processors launching in perhaps a couple of months? Not too many, I would wager. Spending $340 on a Ryzen 3000 in July should get you higher clocks, more performance, and potentially a fair few extra cores too. 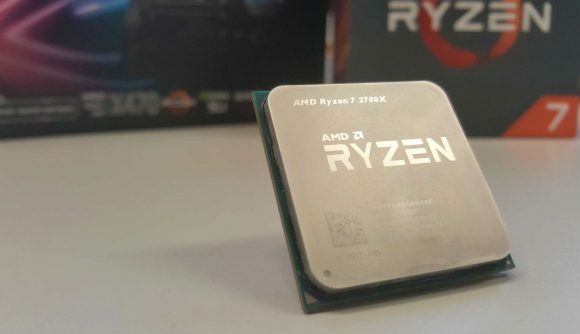 Anyone sitting on a Ryzen 2700X 50th Anniversary Edition chip might not be feeling too cheery once the 3700X gets released.